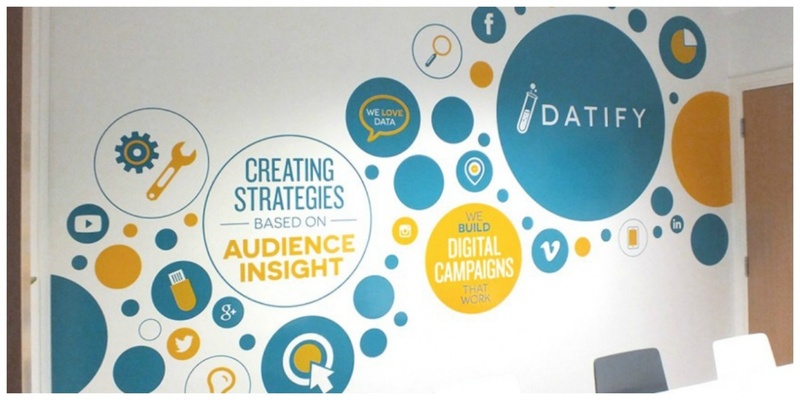 Datify, the successful Digital Marketing agency were looking for a unique and powerful office interior display that would sing-out their key messages and branding. 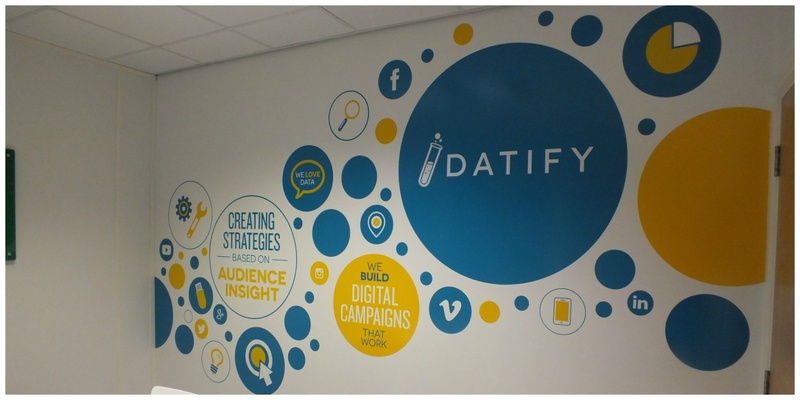 Once again working with the creative design chaps at Visual Etiquette we have printed, cut and installed intricate and vibrant wall art for the Datify office branding project. 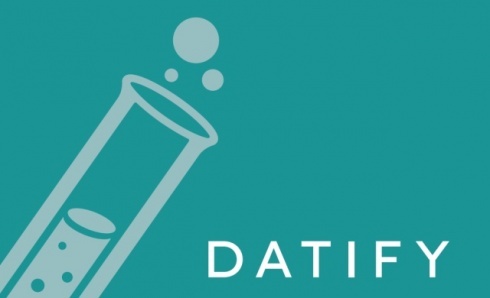 Datify asked for three walls to be covered, each with different, but coordinated and complimentary images and lettering. Visual Etiquette produced various design options and once a final design was given the green light, worked with our graphics printing team to select the best media for the job. We chose the vinyl media based on the desired high gloss finish, type of application needed for the specific wall finish and long lasting durability required for a permanent office space. 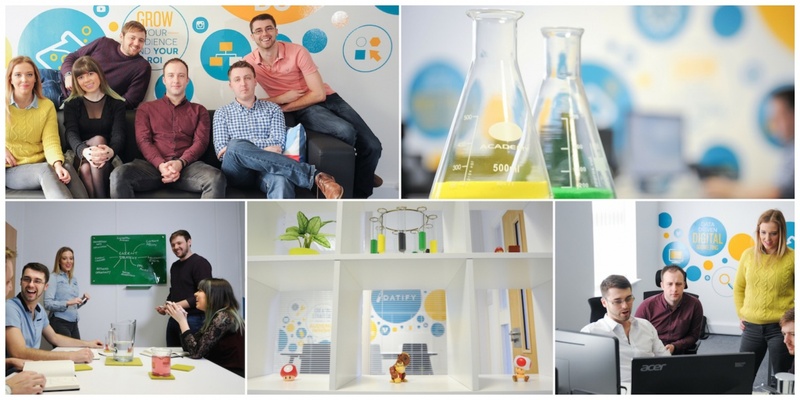 The graphic printing and cutting was all completed in-house at the GH Display studios and the office branding installation took our graphics team a day on-site at the Datify offices. 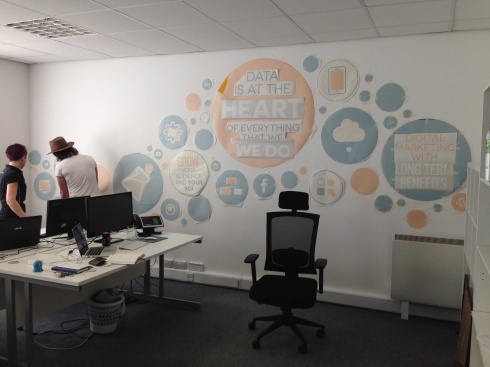 The final result looks fantastic and completely transforms the various office spaces. 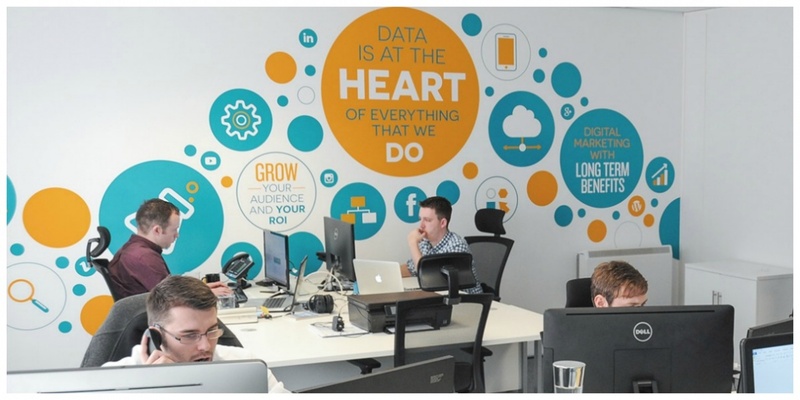 The company branding is now at the forefront for staff and customers alike, reinforcing the brand values and key messages. 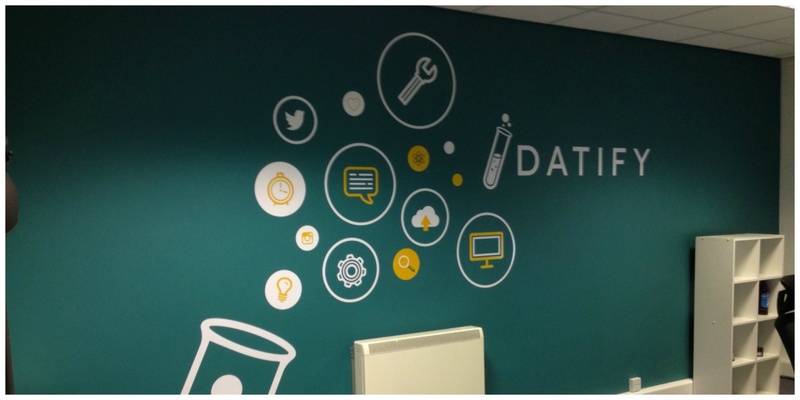 The wall graphic dislpay installation caused little disruption to the Datify team, was completed within a day and our guys left everything spick and span. If you would like to enquire about our office branding solutions please contact us 01733 570222 or complete our enquiry form and we will contact you.